How to Draw a Component Diagram in UML? Current: How to Draw a Component Diagram in UML? How to create Component Diagrams? The steps below outline the major steps to take in creating a UML Component Diagram. In the New Diagram window, select Component Diagram, then click Next. You can use the search bar above to filter results. Name the diagram, then click OK. You will then see a blank diagram. 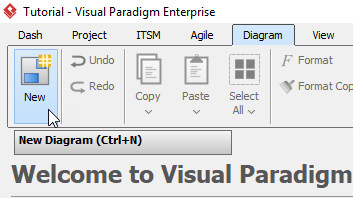 We will name the diagram Component Diagram Tutorial in this tutorial. To create a component, select Component, then click any empty space on the diagram. Rename the component by double clicking the component. In this case, we will be renaming this component Item.java. We can create some dependencies once the components are created. In this example, we are creating a dependency from Item.java to Loan.java. 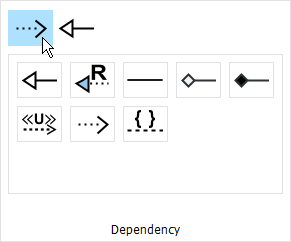 Click Item.java, then click and hold the resource button Resource Catalog, drag the cursor to Loan and release, select Dependency from the popup window. You will now see a dependency from Item.java to Loan.java. Repeat step 7 for more dependencies.